May 2002 Now that Sven has got rid of muppets like Steve McClaren and Sammy Lee, watch him go! They were obviously holding him back. 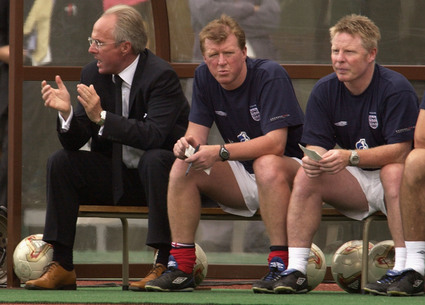 This photo shows Sven, then manager of England, with glamorous assistants McClaren and Lee during the friendly international between England and Cameroon in Kobe, Japan. And doesn’t Sammy Lee look like an old lesbian too?